Wasps Childcare is a community based business providing before and after school and holiday care for children on a part-time or full-time basis. We aim to encourage children to build and develop social skills while our activities promote non-discriminatory attitudes. Our programme and resources reflect an equal opportunity ethos. Our facilities are OFSTED registered and operate within their guidelines. 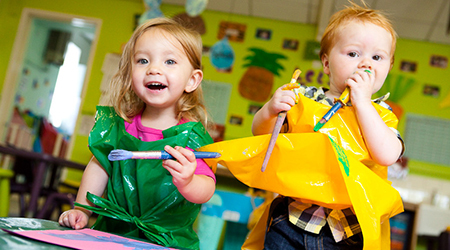 Wasps Nurseries accommodate pre-school children from 0-4 years. We have two facilities located in Latchford and Padgate. Babies and children are welcome whether they are in nappies or toilet trained. We also have sleeping facilities for those who need a nap. If your child is with us during meal times, we can also provide healthy, nutritious snacks and refreshments. 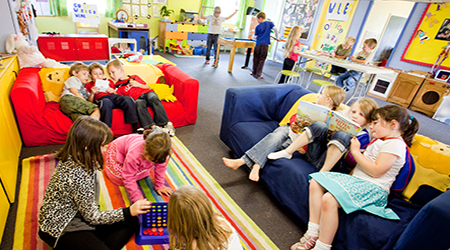 Wasps Childcare is a community based business providing before and after school and holiday care for children on a part-time or full-time basis. We aim to encourage children to build and develop social skills while our activities promote non-discriminatory attitudes. Our programme and resources reflect an equal opportunity ethos. Link Club venues are OFSTED registered and operate within their guidelines.